Apple Cider smells delicious!!! It has a warm comforting smell that lightly lingers all day!! Perfect for the cold days!!! Highly recommend!!! 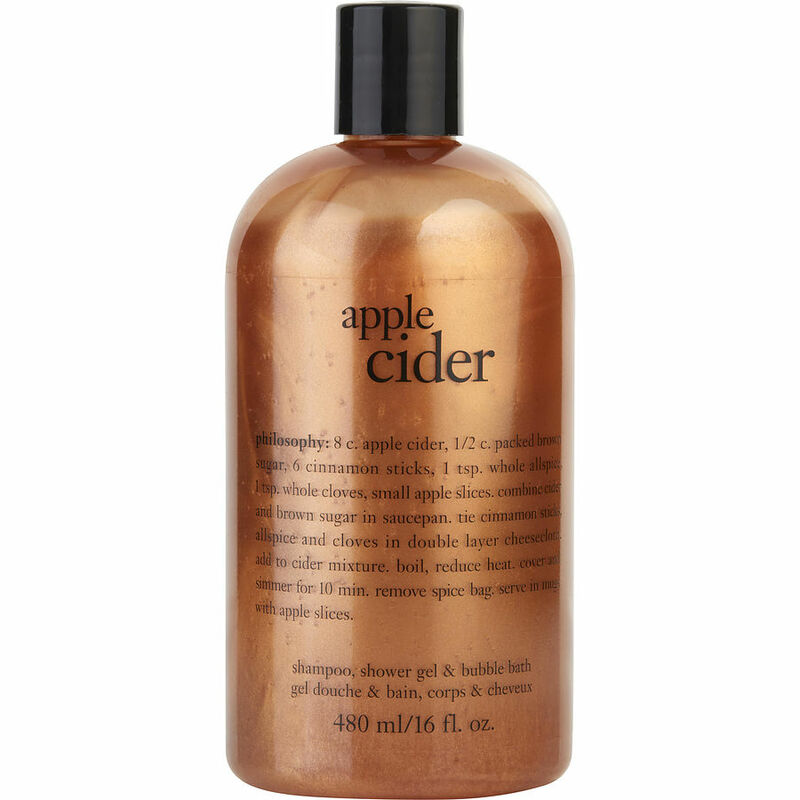 Philosophy's Apple Cider is one of the best scents of it's kind!!! It is amazing!! Sweet apples with a hint of cinnamon with warmth all around, it it perfect for cold weather and all year round!!! Please make this available all the time!!! Love love love this!!!! Thank you FragranceNet!!!! Apple cider philosophy is simply divine! Amazing, perfect for the cold weather, scent to make you feel like a million bucks!! Beyond pleased I purchased this! Absolutely love this!! !